This is what the living room looked like a couple of weeks ago. 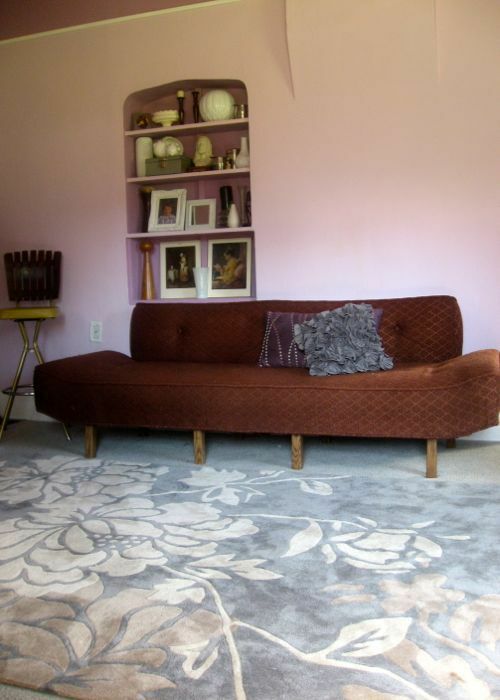 I was happy enough with the cheap Ikea rug (that everyone has), but wasn't in love. 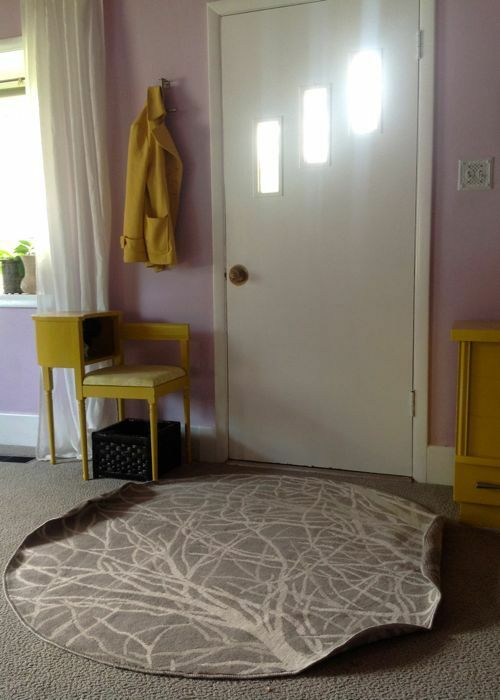 And here's the rug I had in front of the door to catch junk off of people's shoes. It had a few issues. I don't know if you can spot them. Obviously, things were not ideal in there. This, of course, made my birthday. It's so thick and plush; we've been spending a lot of time lying on it. 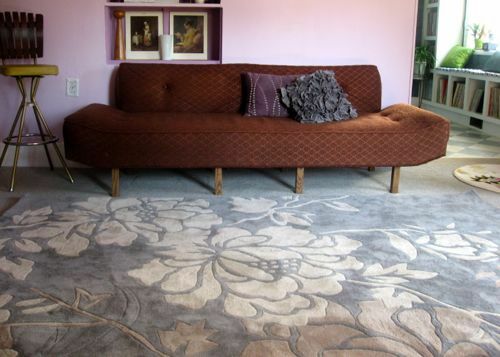 Some of you are undoubtedly annoyed beyond belief that the rug isn't under the couch at all. It will be someday. 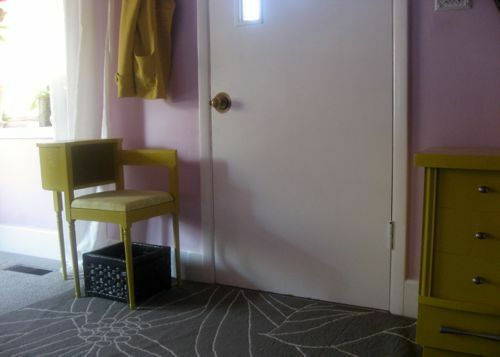 I'm just waiting for some other seating (a love seat, two armchairs, maybe?) to put on the opposite side of the rug (where I'm taking the picture from), and then I'll adjust everything so it works just right. The Ikea rug? It now lives in front of the door. Much less curling. 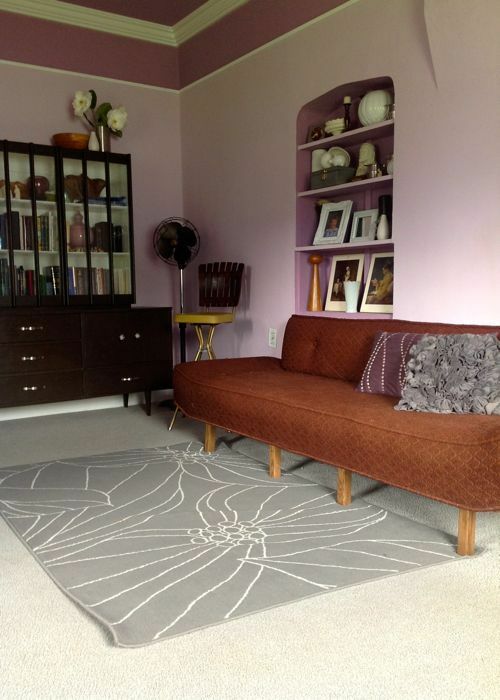 Isn't it amazing how a rug can change a room? 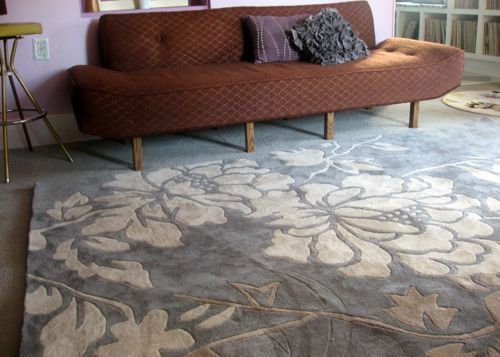 What has your experience with rugs been?